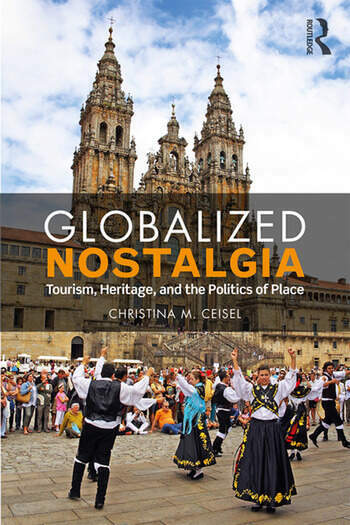 In Globalized Nostalgia, Christina Ceisel shows how national identity is being remade for the global marketplace. Through media, cultural events, foodways, and personal narratives, we see how notions of the past are mobilized towards varied political, economic, and cultural ends. In Galicia, Spain, Ceisel points towards tourism as one mode of cosmopolitan engagement, revisiting food festivals, wine tours, fishing excursions and reality television shows. She identifies globalized nostalgia as a feeling deeply connected to national identity – that these ‘performances’ of tourist activity rely on claims to an authentic past based on "heritage" for value to the consumer. While such strategies work to brand the nation, Ceisel demonstrates how they may also be employed towards emancipation and an inclusive participatory democracy. Placing her own lived experience within the context of our historical present, relying on interpretive methods, including performance autoethnography, Ceisel highlights the tensions embedded in contemporary transnational cultural politics. Through the development of innovative methodological tools, Ceisel points towards new ways of thinking about the politics of belonging. Ultimately, Ceisel argues that we need to reorient our understandings of authenticity and heritage to accommodate the realities of hybridity and diaspora. Christina M. Ceisel is Assistant Professor of Communications at California State University, Fullerton. She holds her Ph.D. from the University of Illinois at Urbana-Champaign, and a M.A. from the University of Chicago.